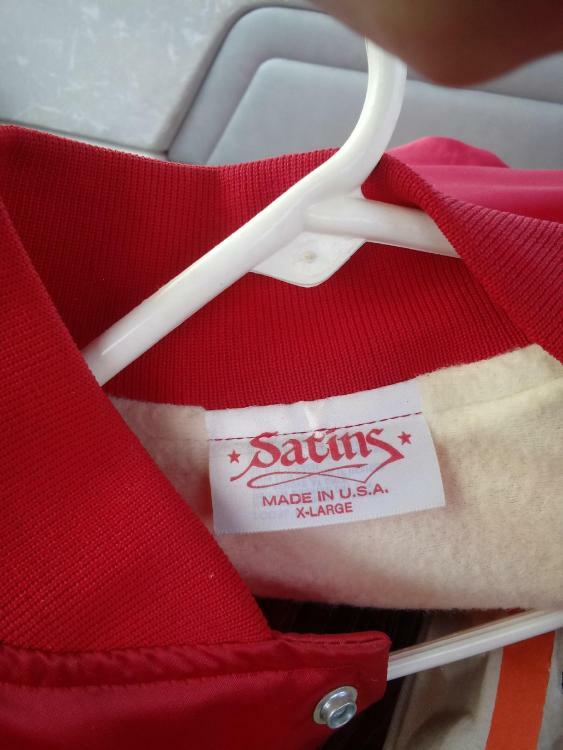 Looking for information about a tour jacket I just acquired. Was told it was a 1973 jacket from the New Orleans. Swan Song (the label) was only established in 1974. The first release on Swan Song was Bad Company's debut album (in the U.S). IMHO I don't think this is official tour merchandise. However I remember a photograph of Jonesy sporting a Swan Song bomber jacket offstage in 77. I'm guessing this is the jacket that was on Ebay in October 2018. I saved the images and the auction description. In the lower left it states "Direct from New Orleans..." This is most likely a tribute band jacket and is not official Led Zeppelin merchandise. In the 80's and early 90's there were only a handful of tribute bands and one of them was out of New Orleans. 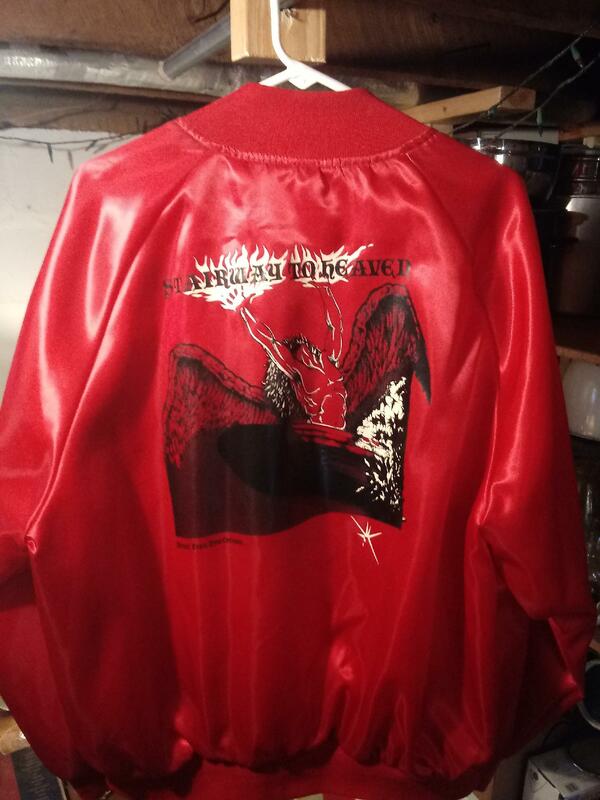 My friends longtime tribute band Physical Graffiti - The Led Zeppelin Show had satin jackets made in circa 1991 that were red and white.